Bike-sharing schemes are a fast-growing transport trend, with almost 1,500 operating around the world today. To governments, they’re a novel tool to help ease the burden on public transport systems and reduce congestion in cities. To people, they’re an affordable and green way to get from A to B, without having to actually buy a bike. Inspired by the principles of the “sharing economy”, bike-sharing schemes aim to make efficient use of resources by providing affordable, short-term access to bikes on an “as-needed” basis. These schemes have been one of the most distinctive and user-friendly means of inspiring people to change their mode of travel, largely because they blend the sustainability of cycling with the speed and convenience of public transport. But as striking photographs from China reveal, these bold principles don’t always play out in practice. To prevent thousands of bikes literally piling up in need of repair or retirement, cities and bike-sharing businesses need to swerve around a few obvious potholes. Certain features can make cities hostile places for bike-sharing schemes; for example, overcomplicated planning procedures, strict cycling laws (such as compulsory helmet use) and political friction over giving up parking spaces to bike docks. Inadequate infrastructure – such as limited bike lanes and unprotected cycle paths – together with traffic safety concerns, bad weather and hilly streets can also put off would-be cyclists. And if schemes suffer from poor promotion or sluggish expansion, the bikes can languish for lack of use. Traditional bike-sharing schemes enable users to rent and return bikes at special hire stations, but they don’t provide a door-to-door service. So, for them to work, convenience is crucial. Schemes such as Seattle’s Pronto paid the price for having sparse and poorly placed docking stations, ceasing operations in 2017. 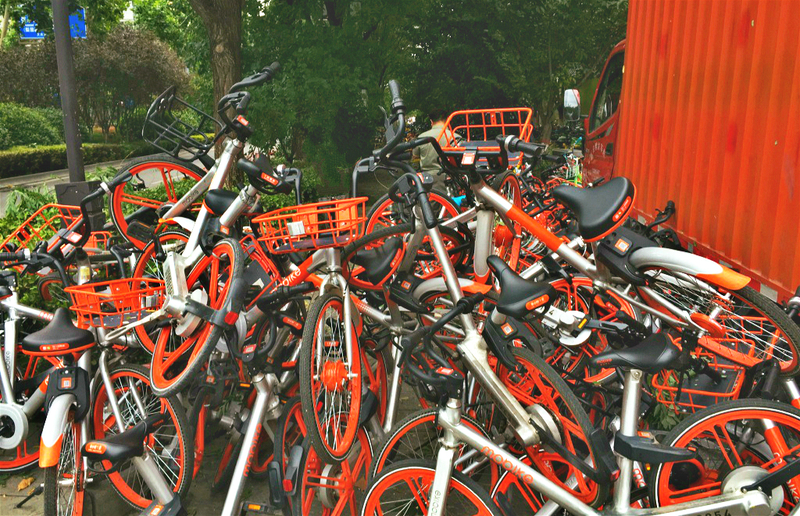 Over the last two years, Chinese bike-sharing start-ups such as Mobike and Ofo – funded by internet giants Alibaba and Tencent – have rushed to address this problem, by providing stationless smart bikes, which users can lock and unlock using a mobile app. With lightning speed, hundreds of door-to-door bike-sharing schemes have spread across China, throughout other Asian countries and finally into Europe – the homeland of conventional public bicycle programmes. This new model has in theory the capacity to transform the world of cycle hire, just as Uber and Lyft have done for cabs. But amid the rush to embrace this new technology, there have already been a fair few fiascoes. China’s third-biggest bike-sharing company, Bluegogo, has run into financial trouble, despite having 20m users and £226m in deposits at its zenith. With so much competition in the market, there are too many bikes available at very low prices, with insufficient demand from consumers. Of course, some of these mistakes are easily avoidable. 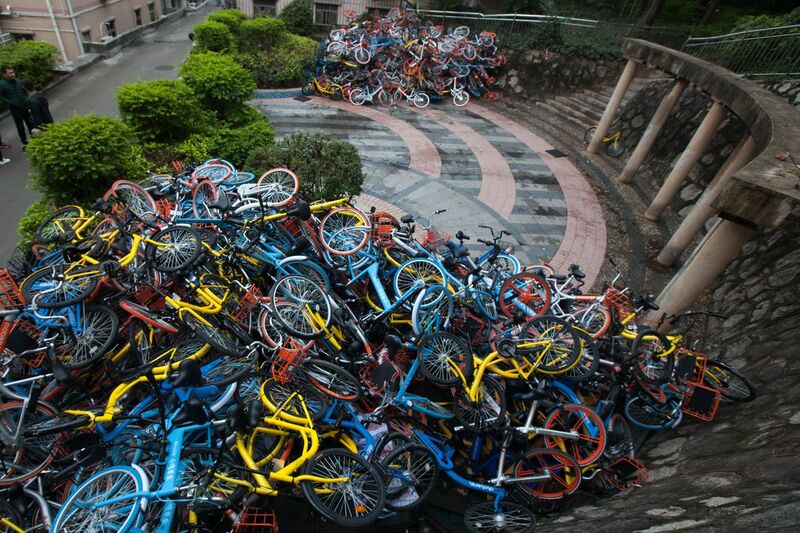 Wukong Bicycle, a minor Chinese start-up which placed 1,200 bikes in the notoriously hilly Chinese city of Chongqing, went out of business after only six months in operation, with 90% of its bikes presumed missing or stolen. They made the fatal error of not installing GPS devices in their fleet. Beijing-based bike-sharing firm 3Vbike also went bankrupt in June 2017, after losing more than 1,000 of its bikes in just four months. The scheme relied on location data from WeChat, rather than building its own app, making its tracking functions ineffective. Worse still, the owner had to purchase the bikes himself, for lack of other investors. Manchester’s Mobike scheme – the first of its kind in the UK – is still going strong, despite facing teething issues during its first three months. Bikes were vandalized, dumped in canals and bins and stolen outright, leading the company’s spokesperson to suggest that the system has been “misunderstood”. Bikes have since been taken in for repair, and will be redistributed across a smaller area in the city center. The oBike scheme in Australian cities faced similar problems. Stationless bikes might work where traditional bike-sharing schemes have failed, provided there is enough demand for these services. 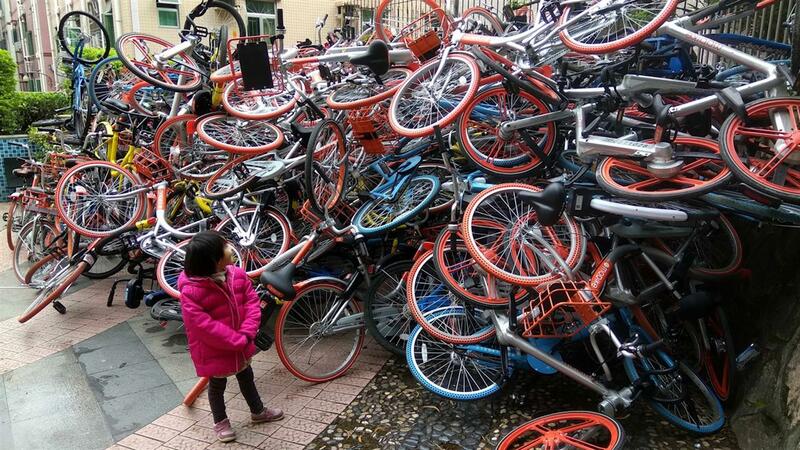 But free-floating bikes must have GPS systems attached – not doing so is a recipe for failure. Fair fares, flexible membership options and ease of access all help to make schemes more user-friendly. And each scheme should have its own purpose-built app – no substitute is good enough. Protection mechanisms and penalties for vandalism and theft should be in place from day one, to help minimise misuse. Market and education campaigns can be used to promote bike-sharing culture, and encourage people to take a positive attitude towards these bikes. Too much competition within a city is a problem – an oversaturated bike-sharing market can be a fatal trap, especially for smaller schemes. Once they’ve assessed the market, operators need to make a city-specific plan for methodical and incremental growth. Rushing things through will lead to disaster. City authorities should enthusiastically support bike-sharing and invest in cycling infrastructure to help schemes succeed; having a champion for the scheme, such as London’s former mayor Boris Johnson, guarantees long-term viability. Very aggressive expansion can doom even the strongest dockless bike-sharing initiatives. Bike-sharing might not be an extremely profitable investment, so it’s important to manage investors’ expectations. Bike-sharing is still, in many ways, a revelation and a positive addition for many cities which are battling the ill effects of car use. But at the same time it should be realised that not every city is destined to become a paradise for cyclists.